Manchester’s number one party barge boat hire for private parties and events. The Dry Barge function barge or ” party boat “, named ‘”Bohemia” provides voyages all year round and is located in Manchester city centre, Castlefield, Catalan Square. 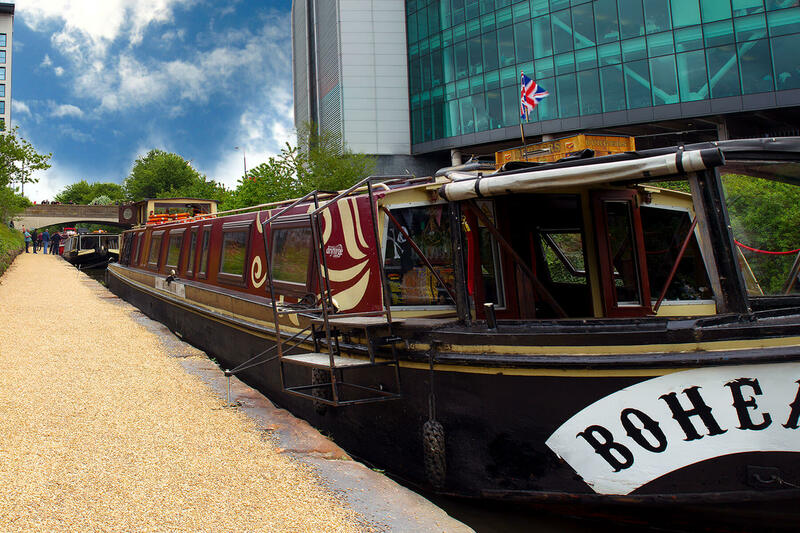 The Dry Barge Company offers a wide variety of cruises, parties, corporate events and birthday celebrations discovering the inland waterways of Manchester and beyond. Leaving the hustle of the city we can travel to more tranquil surroundings of Pomona and Manchester’s ‘Theatre of Dreams’. Bohemia is an exceptionally unique and unusual choice of venue to celebrate any occasion, whether it is for corporate entertaining or simply a birthday celebration. 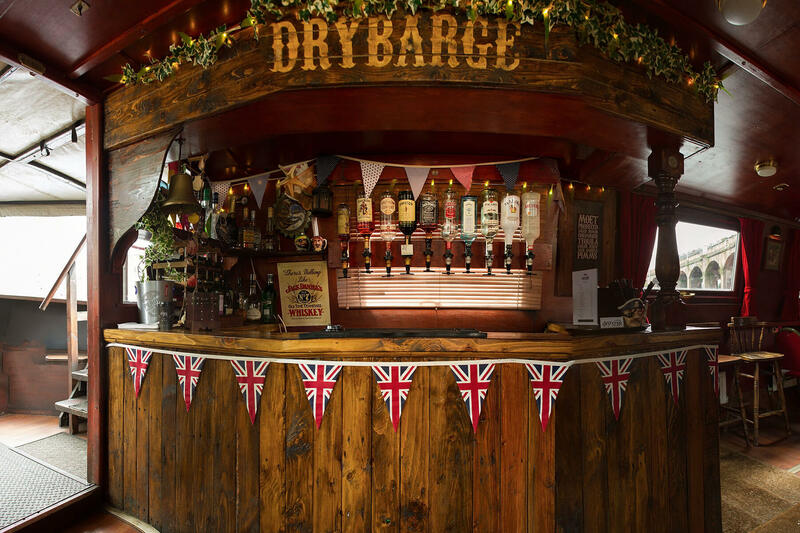 Dry Barge will endeavour to meet the needs of your celebration and can design the perfect event to suit your needs. As the Dry Barge company we pride ourselves on offering an excellent unique venue, with an ever changing landscape in the comfort of an exclusive environment, to enjoy your occasion. 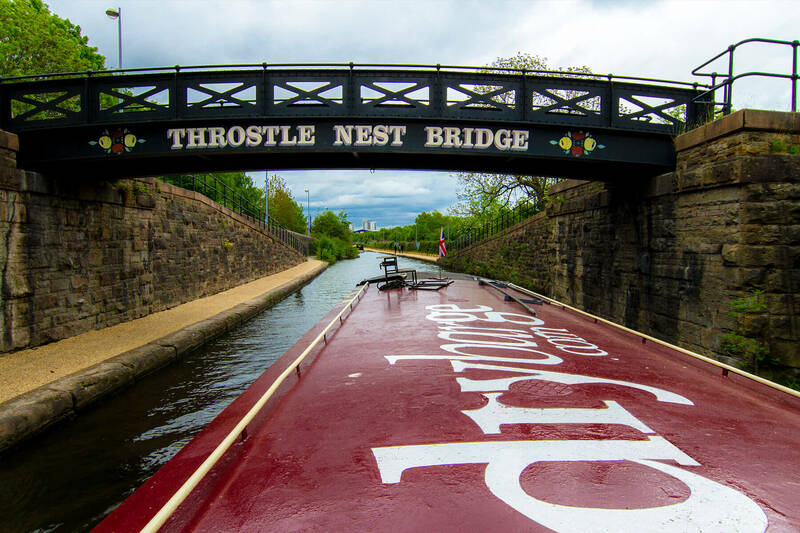 The combination of friendly service and the unique experience of cruising along the historic canals of Manchester make for a truly memorable event or celebration. Our speciality is unusual, quirky party ideas, please visit our contact us page for more information on the hire of the Bohemia party boat. The barge is used for: birthday celebrations / corporate hire / office parties / product launches / live music / music industry gatherings For information or hiring please visit our contact page. Organising a party or corporate event this spring? Make sure you plan one that everyone will want to be at.Dry Barge hires out its boat The Bohemia to groups of up to 60 people (smaller groups are welcome). It’s a way to make your party memorable and different without having to try too hard. You and your friends get to see Manchester in a totally new way as you cruise the city’s waterways with a drink in your hand. There’s a real excitement about climbing on board the boat, and a great atmosphere inside. 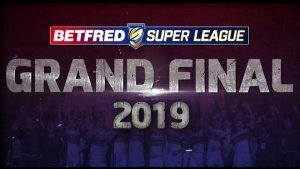 It’ll be just your group and you can have food and music if you like – there’s a fully stocked bar, an entertainment system and high quality catering can be arranged on request. At Confidential, we’ve had one of these parties ourselves – we took the Heroes for a cruise and had a smashing time out on the water. This was partly because someone miscalculated on the booze front and ordered enough in to keep us merry for months. But mainly it was just the thrill of the voyage. In a landlocked city like this, a trip on a boat is quite an exciting event. 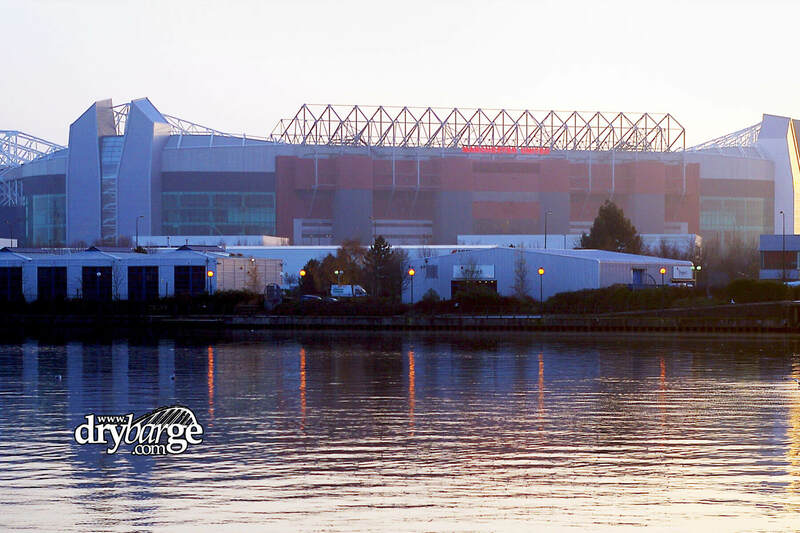 The Bohemia sets sail from the city and slowly glides its way down the Bridgewater Canal to Old Trafford and beyond. It’s popular for corporate events as well as birthday parties, and hen dos. In the past it’s been used for product launches, music industry gatherings, entertaining clients, and office away-days. The team on board are accustomed to hosting big name companies so you can be assured of a professional, friendly service. Thanks to you and the Bohemia crew for a amazing day on Saturday for Dave's 40th birthday. Definitely the best way to get to the game, the match atmosphere now starts before reaching Old Trafford!